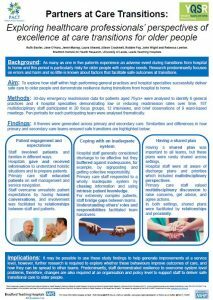 The aim of this research is to improve the safety and experience of care for older patients as they move from hospital to home. Older people are the highest users of the NHS and, with the number of people in the UK aged 75 and over set to double in the next 30 years, this group of patients is an important target for support to improve transitions of care. The aim of this research is to improve the safety and experience of care for older patients as they move from hospital to home. 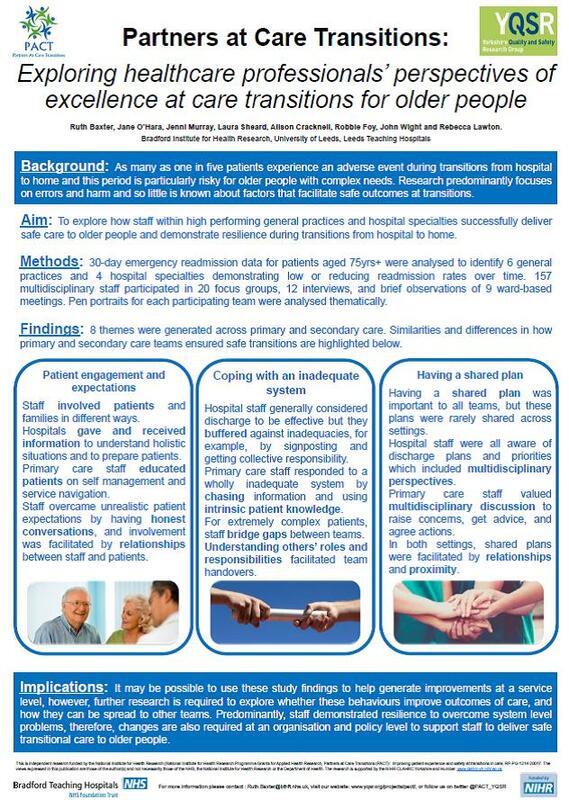 This was the first of our six WPs where we explored patient’s and caregiver’s experiences of care transitions from hospital to home. Lack of patient and carer involvement. 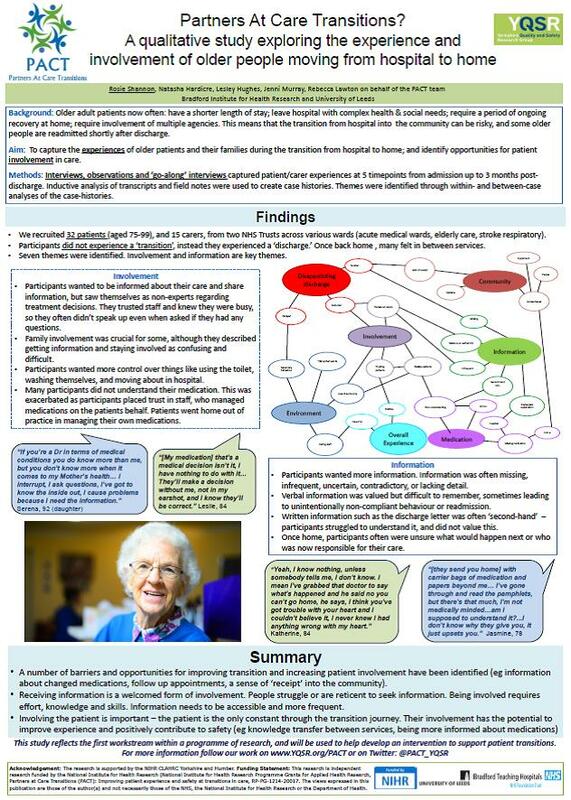 This involved trying to understand how teams (primary care and hospital) manage to achieve low hospital re-admission rates for older people. Our key question was: What do they do to deliver safe care and to involve older patients during their transition home? We used routine data to identify wards and community teams who have low levels of hospital re-admissions. We then interviewed these teams. Staff (including wider administrative team members) getting to know patients well to help with managing risk of hospital re-admissions. Part 1 includes 8 questions mostly relating to hospital care. This will be administered shortly after hospital discharge. Part 2 includes 9 questions about managing heath care at home and this will be administered at around one month after discharge from hospital. Both parts of the measure include questions about adverse events such as falls and infections. We are currently testing the PACT-M and have recruited over 100 patients. We have administered (by telephone) Part 1 of the PACT-M questionnaire to 71% of recruited patients shortly after discharge from hospital. 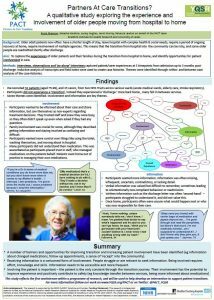 We are trying to understand how best to recruit and retain people into the study and are particularly interested in how people over the age of 75 years engage with the PACT-M.
We intend to use the PACT-M in the upcoming feasibility study (WP5) and the future trial evaluation (WP6) of our intervention. We will use this measure to understand if our intervention has an effect of the quality and safety of care transitions. This is all about developing our intervention! There are many strands to this stage, but basically we used a co-design process involving stakeholders (staff from health and social care and the third sector, and members of our patient panel) to come up with and challenge ideas for the intervention. 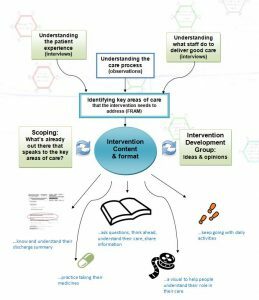 By the time we were involving the stakeholders we had already identified the key things that the intervention would need to address – these came from a process mapping exercise that combined data from our observations of care and WP1 and WP2 findings. We identified 4 key areas that we wanted to address; these all relate to the responsibilities that patients have to pick up and mange when they leave hospital: 1) managing take home and on-going medicines; 2) managing health and well-being; 3) managing every day activities; and 4) escalation of care appropriately. The aim is that by supporting these key areas during their stay in hospital, patients will manage better at home. 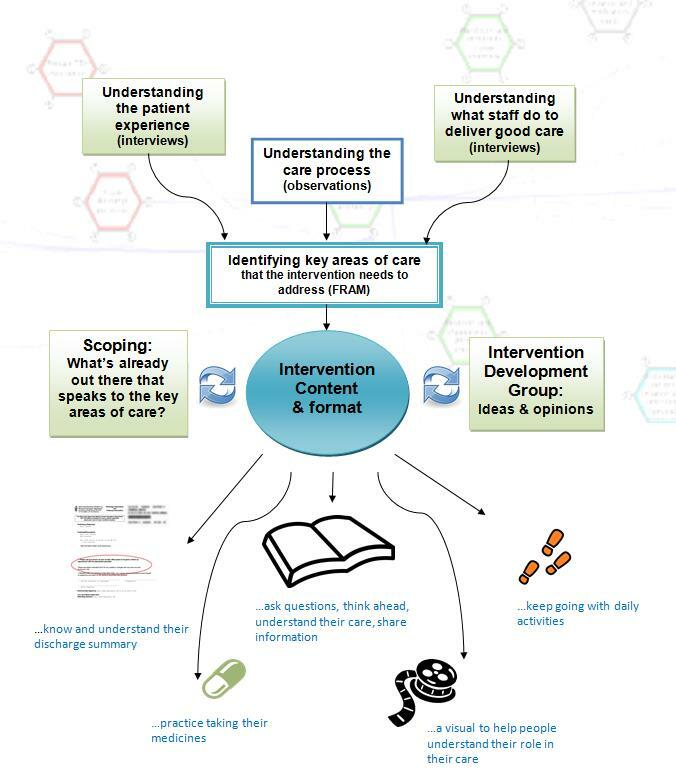 The principles that guide this intervention development are based on supporting patient involvement. Click here for our most recent publication that explains how we think about patient involvement and complex health care systems. Here we will assess the effectiveness and cost-effectiveness of the PACT intervention with in a cluster randomised controlled trial. Our main outcome measure will be hospital re-admissions rates comparing wards where the PACT has been delivered to those where usual care is provided. We will also evaluate whether the PACT intervention improves patient experience, safety and quality of life using the PACT-M (see WP3 for more information) and reduces NHS costs. Click here for information on our PACT Patient and Public Involvement Panel. 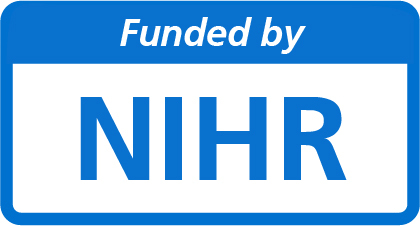 This summary presents independent research funded by the National Institute for Health Research (NIHR) under the NIHR Programme Grant for Applied Research (PGfAR) Award, reference RP-PG-1214-20017. Partners at Care Transitions (PACT): Improving Patient Experience and Safety at Transitions of Care.